Compatible with Arduino IDE 1.6.5 and higher - we recommend the latest 1.8.x release. Please report ATTiny841 issues through github - or failing that, via e-mail. The Atmel ATtiny1634 microcontroller is an exciting processor from Atmel's ATtiny line of 8-bit AVR microcontrollers. Although it doesn't have a third timer like the tiny841 does, the combination of large flash and SRAM memory, dual uarts, and 17 GPIO pins makes it a compelling package, filling a space between the smaller Tiny's, and the ever popular '328p. 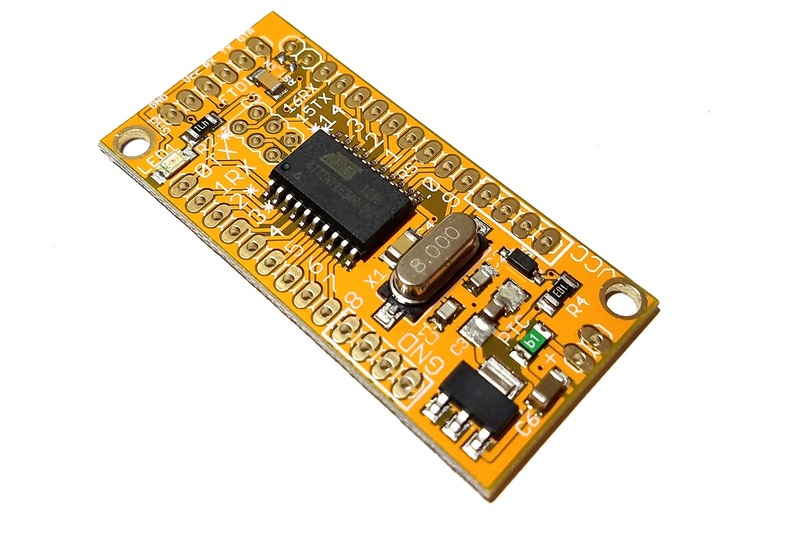 The second uart makes this chip particularly well suited for use with GPS, GSM, and serial WiFi adapters (like the ESP8266) without interfering with serial programming or resorting to SoftwareSerial and the limitations associated with it.